Timely Sites forges alliance with LaJuett - Web design and marketing services - Charlotte, NC. Web design and marketing services - Charlotte, NC. 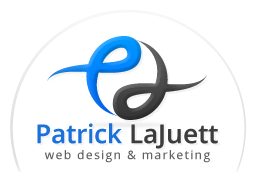 We are pleased to announce a forthcoming alliance with Patrick LaJuett. It is scheduled to take place officially on Sept 1, 2014. On that date our combined agency will begin conducting business as TimelySites. Mr. LaJuett founded a strategic marketing consultancy with a roster of clients that included leading companies from a wide range of industries. He started his career at Xerox where he worked as a multimedia producer. In 1999, he joined the Online marketing team at Paychex. Patrick has served as a marketing consultant for Bill Perfect and is responsible for the development of the current TimelySites and TimelyBill® brand identity. By incorporating the principles of user-centered design, we create custom & compelling website for companies around the globe.